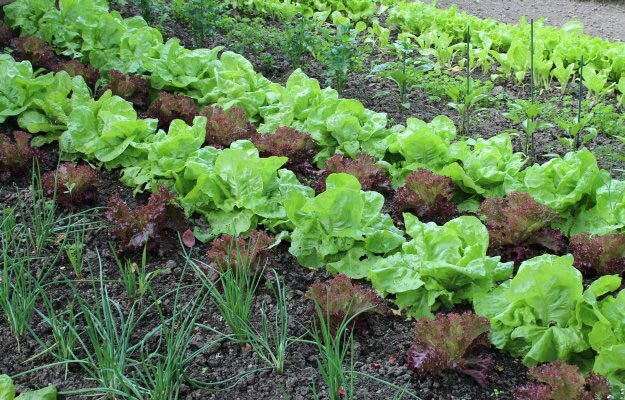 Welcome to “Back Yard Farmer: How To Grow All The Food You Need in 3 Square Feet of Land”! 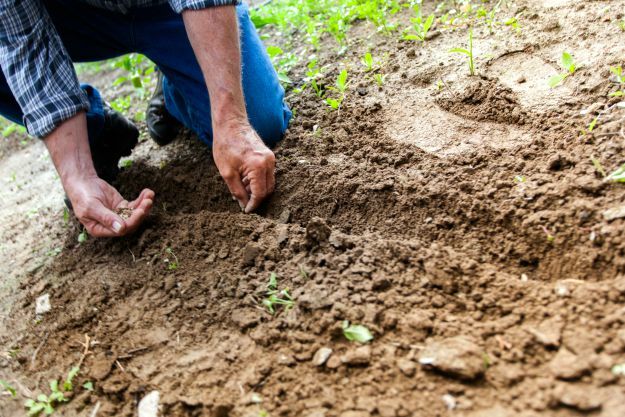 The purpose of this 11-chapter guide is to help your family with food self-sufficiency by turning 3 square feet of land in your yard into a productive garden. Keep reading to find the other chapters in this series on how to grow all the food you need! Grow All the Food You Need for Your Homestead Today! Millions of Americans have transformed their family lifestyle by becoming successful gardeners. This may seem like a huge goal to some, but this step-by-step manual will help. This will serve as a guide for beginners and hobbyists alike through the process of building and harvest of their own garden crops. There are a lot of would-be gardeners who actually never start gardening because of the hard work, time, and expense they need to deal with? If you are one of these millions, this guide will help you kick that doubt! This activity should not be a hard work—it should be fun for the whole family. You should learn how to grow all the food you need to survive! Here you are introduced to square foot gardening which became popular back in 1981 and revolutionized the way people in America garden. The idea is to plant more in a concentrated space. Many gardeners were dissatisfied with the traditional “single row garden”—a technique many gardeners are familiar with. But there are lots of issues with single-row gardening. It takes up far too much space and sometimes doesn’t yield much produce. 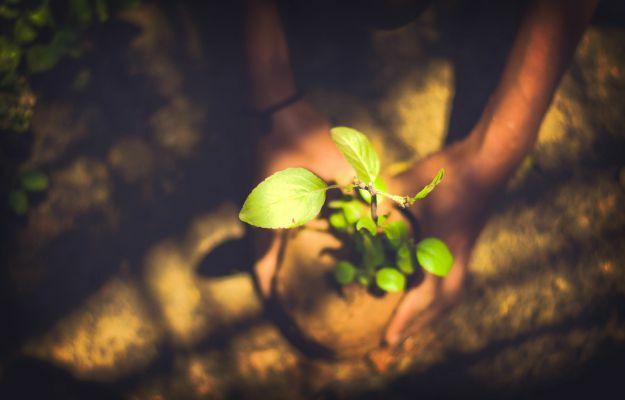 In single-row gardening, gardeners spread both enriched soil and fertilizer over the entire garden in a wasteful manner when plants are only in tiny rows. Of course, there is the watering of such a space, another wasteful endeavor, especially if one is living in a western state. In this chapter, we will go into planning and design of a square foot garden. Issues about single row gardening are avoided with planning. The size, location, and design are considered when planning your garden. Gardening, despite its many health benefits, can be a tedious effort—back-breaking to say the least. Enters raised bed gardening which is the answer for people who are limited by ability like the elderly. This way, gardening as a therapeutic hobby becomes a reality. Here you will learn to build a square foot raised bed garden and use them to its full potential. You will also be introduced to different materials you can use to build a square foot raised bed garden. It also comes with tips and tricks to keep your plants from pests. Gardeners familiar with single row gardening will surely share their stories of how plentiful and hearty the weeds in their gardens are. All because of soil and fertilizer mishandling! Hoeing such weeds is exactly what the three-foot rows between plants are for, but what if there was an easier way? What if you could arrange your garden in a better way for the soil and seeds while also allowing the garden to act as its own weed-prevention? In a square foot raised bed garden, soil preparation and weed management will be better handled. Another issue with single-row gardening is how your plant and food yields are arranged. If you have a 20-foot long single-row garden, how likely is it your family is going to want to eat an entire 20-foot row of tomatoes or peppers? Unless you are a farmer or planning to sell your extra fruits at a market or to friends, this makes for a waste of time, space, and money. Your garden should reflect your family’s lifestyle and eating habits. In this chapter, you will be introduced to seed-starting techniques. You will also learn about seeds, seed-selection, and transplanting. The problem is, most “experts” on gardening, from academia on down, will swear by the single-row method. It’s simply how gardening has been done in the past. Tradition is all fine and well but it’s time to acknowledge the restrictions and needs of the modern family and upgrade the practice of gardening to fit those needs. Help yourself to a walk-through of a vegetable gardening experience. From planting, weed and pest management to gardening techniques and harvest. You will get helpful tips to assist you with growing your own food year-round. If you’ve ever driven by a large scale or commercial farm, you will recognize the single-row technique, because this is what farmers use. Yet these farmers purposely intend to grow huge surpluses of a single crop. Typically, they have the room and money to “waste” on the said supplies. Unless your family is planning on going into the farming business, it’s time to ditch this tradition and go with actual efficiency! You will be introduced to vertical gardening in this chapter. If you have limited space to go around, why not go up? There are countless ways and ideas to put this gardening technique to work. The changing of the season plays an important role in growing plants. But it isn’t only a question of when to plant but what crops to plant as well. For example, cool-season veggies like cabbages and cauliflowers are best planted from late summer to fall or in the early spring. Having mentioned ‘spring,’ it’s easy to get carried away during this exciting gardening season but some crops will have to wait. A successful harvest will depend on your timing. In this chapter, you will be catered to an in-depth discussion of the right timing for planting your garden. You know what else put off would-be gardeners? High expectations! We are inspired by lovely vegetable garden images with prim and healthy vegetables, but the truth is, most vegetable gardens are not as pretty as you would imagine them to be. The secret to a unique and productive garden? It’s in the landscape. By working with the contours of your land, the limited size of your backyard, or the height of your apartment, you get to garden effectively. Gardening isn’t only for the elderly but for the kids as well. It can be a perfect bonding activity for the whole family. 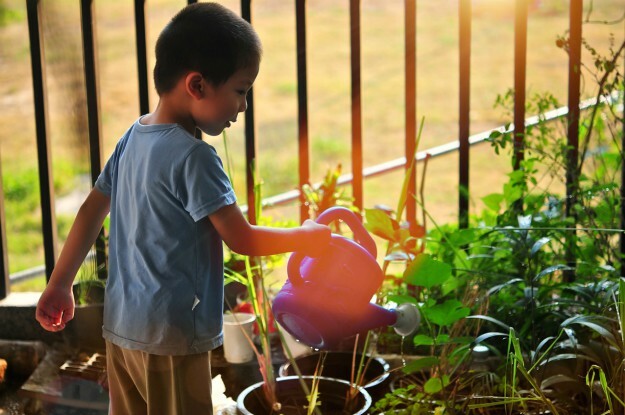 Teaching kids about gardening is also a simple way of letting them be attached to nature. Give them their designated tasks and make them enjoy planting seeds, trimming weeds, and harvesting fresh fruits and veggies. In this chapter, you’ll learn some helpful gardening tips so your family will enjoy this fulfilling activity altogether. Herbs are some of the easiest edibles to grow. From growing herbs, you will be encouraged to grow your own food more. There is nothing like freshly-picked fruits and veggies, after all. You can grow herbs in a square-foot, raised-bed, or vertical garden. You will find out more in this chapter on how to grow an herb garden. Know how to grow all the food you need in your backyard. We are positive this Homestead Handbook will help you get started. This 11-chapter series will walk you through all the backyard gardening details for you to grow your urban survival garden. Roll up your sleeves and prepare to get your hands dirty, this is going to be fun! 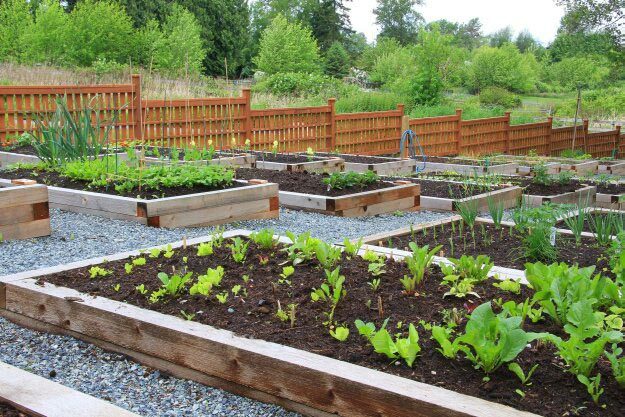 What do you think of these homesteading tips about how to grow all the food you need? Let us know in the comments section below! Editor’s Note – This post was originally published on May 19, 2017, and has been updated for quality and relevancy. The question: who needs all that cabbage? needs addressing. If you want vegetables in the winter too, unless you have an indoor greenhouse, you do need all that cabbage. 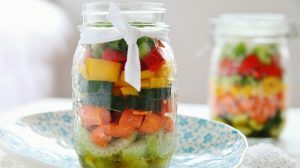 You need to put up jars of canned and fermented (fermented is best) vegetables, and I haven’t found that capability in a 3′ x 3′ space. I live in a trailer park, so my gardening ability is cut way down, but it’s certainly larger than 3′ x 3′. Let’s get more practical. I agree heartily on square-foot gardening, companion crops and raised beds, however, just to clarify about commercial farmers. Mostly, they grow in rows due to two things: large-scale irrigation and getting their machinery through the crops for harvests. And absolutely, we don’t have those issues as backyard or small-scale gardeners. I garden in the Southwestern desert and have specialized in drought-tolerant gardening (for obvious reasons – Phoenix, AZ). The commercial ways are indeed a waste of money, water and resources as you point out. Thanks for doing this blog.